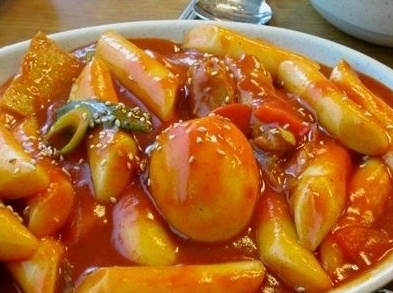 Tukbokki looks like this, yo! 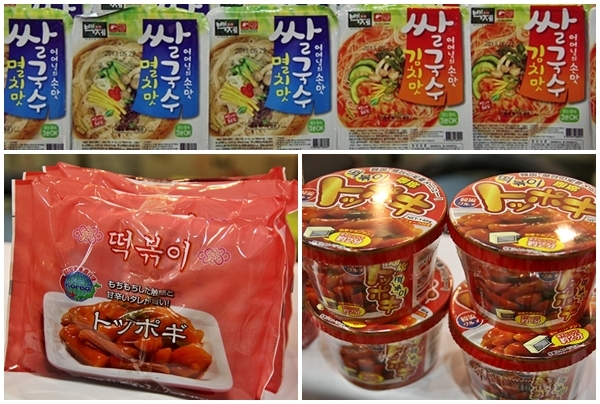 Tuk means mochi, and bokki means stir-fried. So it's literally stir-fried mochi that is spicy and delicious. you should go to the Tukbokki Festival that happens every year. accurate way to call it the way it's supposed to sound. This is what you pay with, in this place. but it has cute tukbokki characters on it. 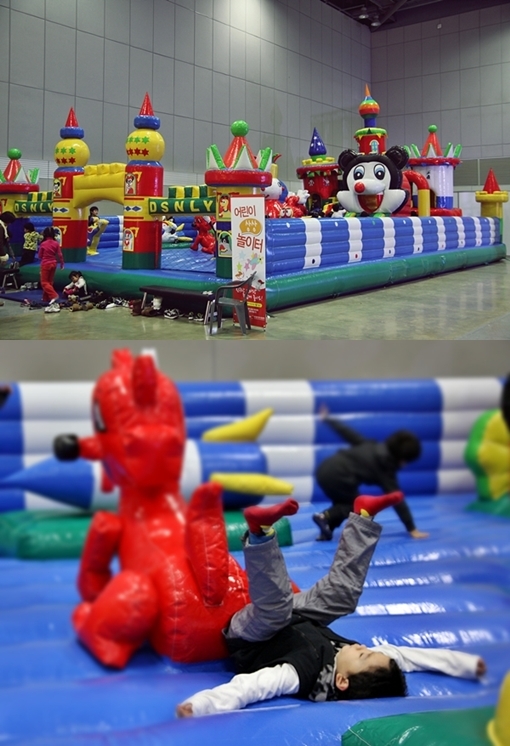 but the place was spacious and colorful, and more and more people came as time passed. for free. There really were some exotic kinds! and this is sweet and spicy chilli tukbokki. If you've tried Jjajangmyun (Chinese-Korean fusion food), you'll really like this one, too. This one's not spicy at all. It's rather sweet. pour these sauce over their tuk (mochi) and just stir-fry them. They also had different kinds of tuk(mochi) selling. The purple and the green ones are from red sweet potatoes and green tea. Those two are known to be really healthy for you. I see some turtles, squids, whales, and sharks. they set up a safe playground for kids to play. .... uhh.... this kid's okay, right? or even little tukbokki dolls and other cutsie stuff. there were some really intense things going on there, too. I'll let you know how their art piece looked like in not long! There's a cute little boy posing for their parents, hehe. for foreigners to call. It's becoming pretty popular among other people now. They were also selling other rice products like sweet rice mochi snacks, rice bread, and such. This one below is also made of rice, and it has a shape of a fish. No, no! It doesn't taste anything like fish, and nothing close to fish goes in there. It's just the shape that looks like fish. It's sweet, and it has sweet red bean paste there. kids about knowledge of rices and their products that required concentration. Some kids were actually really good...! This one challenged kids of how many rounds of hoola-hoops they could do. Some kids were so good they were challenged with TWO hoola hoops! Here's another big part of the festival. It was the rice noodles, that were healthier than just ordinary noodles. All you had to do was pour the boiling water and wait for 10 seconds. That's almost like 20 times faster than the normal cup noodles. This little tuk (mochi) package was for people who liked putting them in their Ramen. I personally love doing this, too. It brings up the level of the ramen's taste and the texture. Anywhere they sell tukbokki, they sell vegetables and seafood fries, too. They go along very well with tukbokki. Here's the perfect tukbokki combo...! I made this order and enjoyed this all alone. Since Christmas was nearing, they were also accepting donations. and of course, they cannot forget to decorate the Christmas tree. People wrote down some wishes and hung the up on the Christmas tree. You know what would be my wish?